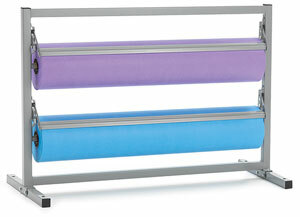 Very sturdy, self-standing paper racks are made of steel with welded bases. For paper roll sizes up to 36" wide. Equipped with standard cutting blades. Ships unassembled.